Due to recent natural events, the California Department of Fish and Wildlife’s (CDFW) Imperial Wildlife Area, Wister Unit, has recently experienced water-delivery delays that have resulted in the wildlife area receiving less than the amount of water needed to fully flood the waterfowl area. This may result in fewer hunt sites than normal being available for the waterfowl opener scheduled Saturday, Oct. 20. CDFW estimates 10 to 20 blinds out of 100 blinds onsite may be unavailable. An active mud pot, a natural geothermal event, recently caused water-delivery delays and then recent severe thunderstorms affected the wildlife area in Imperial County and surrounding areas, causing widespread flooding and closures to Highway 111 and other surrounding areas. 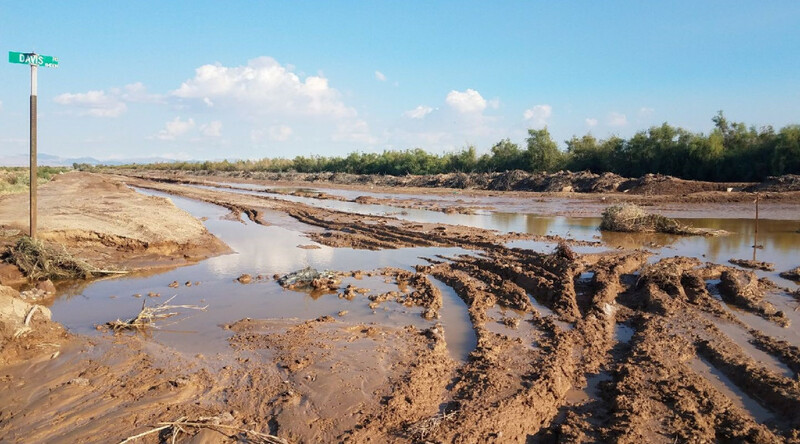 The flooding damaged Imperial Irrigation District water-delivery canals and ditches, as well as some roads at the wildlife area. CDFW has been informed that the District has started repairs to its system but there is no timeline on when the work will be completed. The Wister Unit will likely be less than completely flooded on the waterfowl opener. For more information on conditions, please contact Rick Francis at (760) 359-0577.